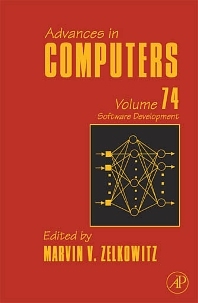 This is volume 74 of Advances in Computers, subtitled “Recent advances in software development.” This series, which began in 1960, is the oldest continuously published series of books that has chronicled the ever- changing landscape of information technology. Each year three volumes are published, each presenting five to seven chapters describing the latest technology in the use of computers today. In this current volume, we present six chapters that give an update on some of the major issues affecting the development of software today. The six chapters in this volume can be divided into two general categories. The first three deal with the increasing importance of security in the software we write and provide insights into how to increase that security. The three latter chapters look at software development as a whole and provide guidelines in how best to make certain decisions on a project-level basis.